Drum Lessons Pensacola | Drums Teachers | Drum Lessons - Start Today! DRUM LESSONS is what we provide for kids and adults, from beginner to the more advanced students. We will teach you awesome drum techniques that professionals use regularly. Among our skilled lessons, we will teach you how to jam & create. Furthermore, you will learn to improvise and solo, play odd time, double bass, the Free Hand Technique, or different styles. We teach you to play with rock or jazz band, an orchestra or marching band and more. You will learn rudiment, differing grips pros use, or how to select the correct equipment. To put it simply, you’ll move past the basics to cymbal techniques, or selecting education materials to further your studies on your own and more! Drum Lessons Pensacola with experienced, educated Drum Teachers. GET THE GUARANTEED RESULTS FOR WHICH YOU’RE LOOKING ! 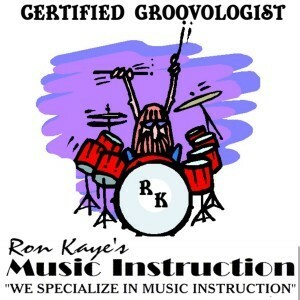 Our Drum Lessons at Ron Kaye’s Music Instruction, we are crazy about teaching and playing the drums. In fact, we started the very 1st Northwest,FL Drum Set Solo contest in 1999, and we were the very 1st to bring the WFD “World’s Fastest Drummer” competition to Pensacola! Our teachers are continually growing and expanding their teaching skills. When it comes to learning the drums, we don’t just stick you in a small room with a drum kit and your instructor, we have a fully equipped Drum Studio with side by side drum sets and all the percussion equipment you will ever need. Your lessons are going to soar! Our teachers have sought out insights and tips from drumming legends in the music world to bring the very best to our students. IF YOUR A GOOD DRUMMER, OUR DRUM INSTRUCTION CAN MAKE YOU BETTER! IF YOU HAVE NEVER PLAYED BEFORE OR NEVER HAD ANY DRUM LESSONS, OUR METHOD AND DRUM TEACHERS WILL SHOW YOU THE WAY. We provide every student the opportunity, when their ready, to play with other students or instructors in a band. In addition, we provide the opportunity to publicly perform in one of our voluntary recitals so they can show the world the great skills they have learned. Our Drum Lessons provide the benefit of side by side, fully equipped drum sets. If you want to learn how to play the drums, or play them at a higher level, then we invite you to discover our passion in life and take your drum lessons from great teachers in an awesome drumming environment. AND ALLOW US TO HELP YOUR REACH YOUR DRUMMING GOALS!